When a child in your life receives an Autism diagnosis, you may find yourself wondering what toys or gifts would be most appropriate for them. Rest assured, you have come to the right place! This article will highlight the best gifts and toys for Autistic kids and will review why we feel they are indeed the best. The Autism spectrum is wide and kids can fall at any point within that spectrum. On the whole, most kids with Autism have difficulty understanding social cues, may face communication barriers and may also have sensory issues. The perfect toy can help them experience joy, learn the ins and outs of the concept of play and even help them to develop muscle tone and visual stregth. 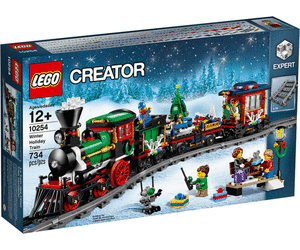 Be sure to choose a gift that is appropriate for the child’s current developmental level. Choosing toys that are too advanced may lead to frustration and negative behaviors. Speak with your child’s physician or therapist for recommendations as to which toys would be best. Consider the child’s sensory sensitivities. Choose items that are specifically designed for children with Autism or other special needs. STEM (science, technology, engineering, math) toys can help Autistic kids develop their physical and academic skills while playing. The Sehon fidget cube pad is an innovative piece of technology that Autistic kids are drawn to. The fidget pad keeps hands busy and minds calm. If a child has an issue with picking at their skin, self harm or impulse control, this pad can bring them great relief. 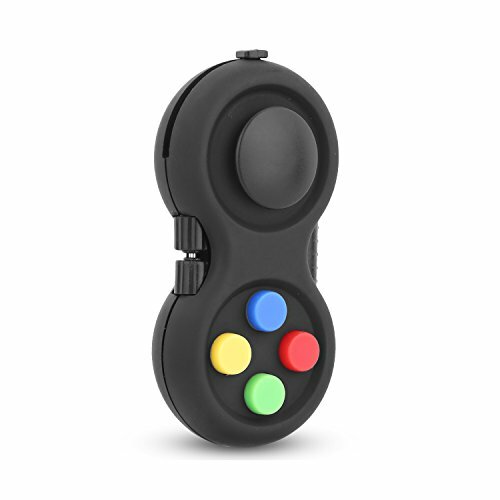 The pad is made of rubberized plastic that is designed to be comfortable to hold. It comes with a lanyard, so kids who can wear one safely can keep their pad around their neck. Whether in an overstimulating situation or even a calm time at home, fidget toys can help Autistic kids learn to self regulate and control their need for physical movement and sensory input. They are approximately 3.5 inches long, so they are discreet and easy to use just about anywhere. These toys are mesh bags that contain glass marbles inside. 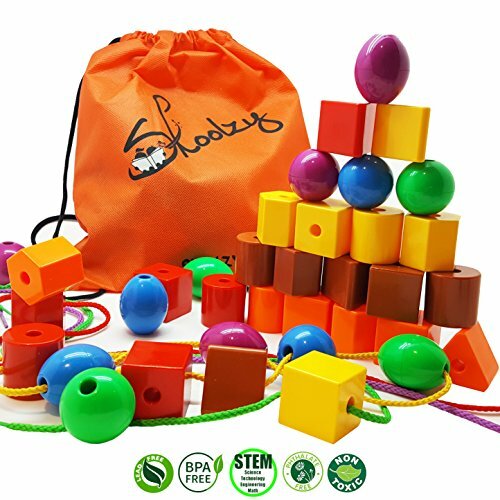 While they’re recommended for ages 3 and up, the bags are made very securely and the marbles will not come out of the bag. 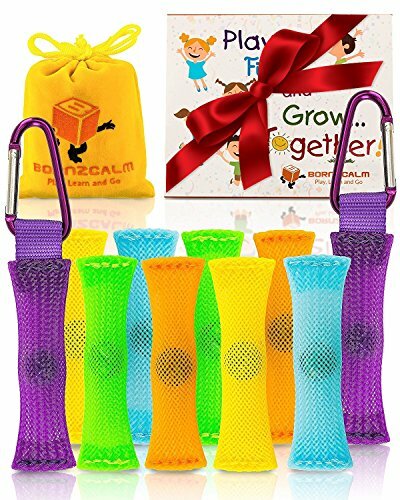 These are a great silent, non-toxic toy that helps to keep hands busy and reduce stress and anxiety. They’re also great to help with breaking habits such as nail biting and hair pulling. This set includes 10 fidget toys and a carrying pouch. They also come with two carabiner clips, so it’s easy to hook them onto a backpack, a belt loop or a strap in the car. An animated e-book is included that tells a story about fidgeting. 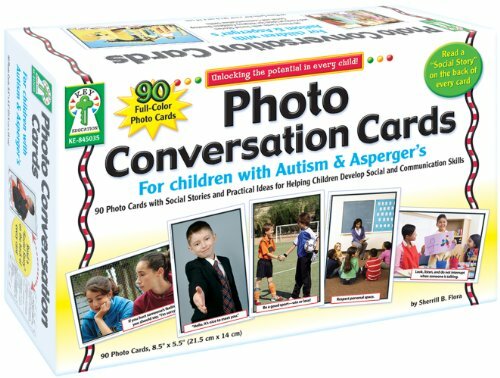 Photo conversation cards are ideal for the child who is non-verbal, has selective mutism, is receiving therapy for a speech impediment or they can simply be used as a means to bridge any communication gap. There are 90 cards in this set and they include scenarios that are applicable in all areas of life: school, home, playng with friends and more. Each card has a photo along with a set of recommended conversation starters and prompts to help encourage the child to communicate effectively. The cards are large and have clear photos designed to engage children. Children with Autism often struggle socially, making these cards a wonderful tool to help them navigate the outside world. This set includes cards to help them practice appropriate greetings, manners, hygiene, personal space and much more. Chewelry (jewelry that is designed for chewing) makes a great gift for kids who need to chew. 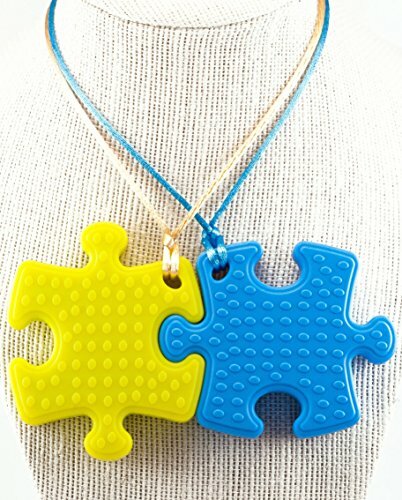 These cute silicone puzzle piece necklaces satisfy both the oral sensory need as well as a tactile one. Each piece has a bumpy side and a smooth side to appeal to different needs and preferences. The silicone material is non-toxic, BPA free, food grade and very durable. The necklaces can be cleaned by hand or in the dishwasher. Having a set of two means that when one is being cleaned, your child doesn’t have to go without a necklace. They are designed for heavy and rough chewers, so even if other chew necklaces haven’t held up in the past, these should do the trick. 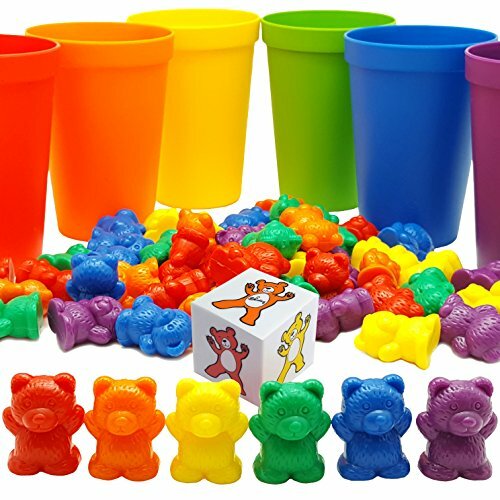 Rainbow counting bears are a favorite toy amongst kids of all ages. Children who are struggling with math concepts may find their level of understanding increase when using these bears. Bears can be used to practice sorting, color recognition, addition, subtraction and more. This set comes with coordinating sorting cups to promote accurate color sorting skills. There is also a cute die included picturing bears of different colors on each side. 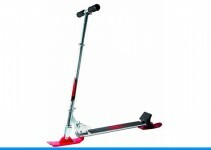 This can be incorporated into therapy time or play, teaching the skill of taking turns and following directions. There are 60, 1 inch bears in the set. They are non-toxic and free of BPA, lead and phtalates. Since the bears are small in size, they should only be given to children who do not put things in their mouths, and adult supervision should always be in place when playing with these bears. There’s nothing quite like playing with tools and hardware! 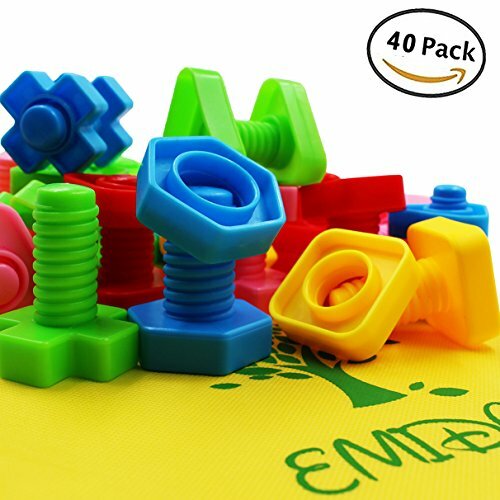 This set of jumbo sized plastic nuts and bolts is a great choice for the child who enjoys making and building things. This toy helps to build fine motor skills, reinforce color recognition and maintain attention during an activity. Twenty sets of nuts and bolts are included (40 pieces in all) in a variety of colors and shapes. Children learn from twisting them, placing the nut on the bolt, and matching colors and shapes. These can also be used in the bath! The variation in shapes and the threads on the bolts can soothe a sensory deprived child and allow them to focus on the task of threading the nut on the bolt and tightening it, and then loosening it afterwards. 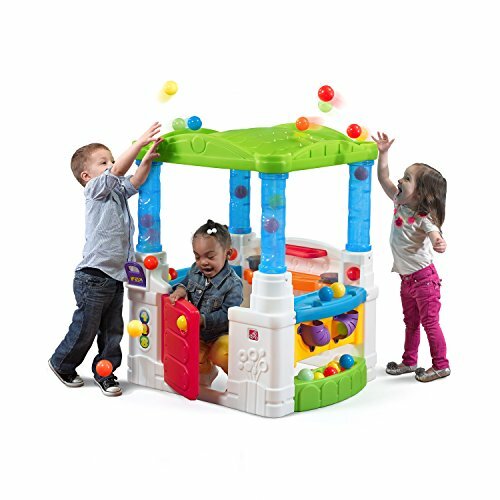 These toys are suitable for a variety of ages and developmental levels. DIY (do it yourself) versions of these floating liquid bubbler timers have been making the rounds in therapist’s offices, classrooms and doctor’s offices. Finally, SD Motion has created a professional quality timer that exceeds the quality and durability of the homemade versions. 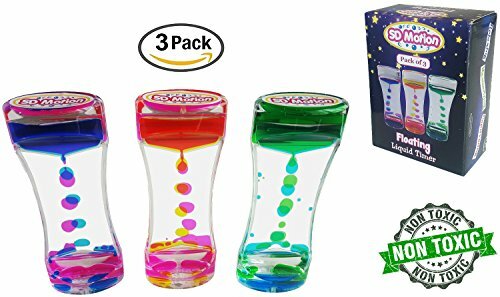 Bubble timers are often used as a tool to help children calm down. It takes one minute for all of the colored water droplets (bubbles) to sink down to the bottom of the timer. Watching and waiting for the minute to pass can help a child to relax, stay focused and refrain from any self harm activities. 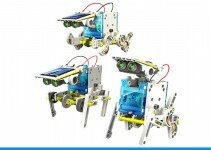 This pack of three includes a red, green and blue timer so you can keep one at home, one in the car and one at school. These timers are also great tools for kids with Autism who resist sleeping at night. Watching the colorful bubbles before bed can help them to give in, relax and enjoy a peaceful night of sleep. This set of 10 different fidget toys is ideal for the kid who enjoys manipulating toys with their hands and is fascinated by the interworking pieces of objects that have movable parts. There are 10 very varied choices in this set, so it’s great to hold attention and allow your child to choose different fidget toys at different times. There is something for just about every sensory and motor need in this set of toys. 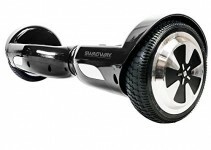 They are constructed of quality materials, with the bike chain being especially durable for rough fidgeters. Many of the toys in this set are small and quiet, so they are great to keep in a pocket or desk at school or take along to medical appointments to help pass the time and maintain calm and focused. Stringing beads is a calming activity that promotes hand-eye coordination and the development of stronger fine motor skills. Without even realizing it, kids who play with these stringing beads are strengthening their vision tracking skills and reinforcing primary color facts. This ASTM safety certified toy is BPA free and non-toxic. The beads are made from a durable plastic material that is easy to handle and easy to keep clean. Beads and laces should be used with adult supervision. The set comes with a drawstring carry bag to keep everything in one place and make it easy to take along to therapy appointments or play dates. The set includes 4 lacing strings (36 inches each) and 36 beads (1-1.5 inches tall). Not only is bead stringing a calming activity, but it helps with fidgeting hands and can help kids to focus and maintain their attention to detail. This activity is especially helpful for emerging writers, as it works to strengthen the muscles in the hands, fingers and wrists. Many children with a dianosis of Autism find it soothing to have something to chew on throughout the day. These Pretty See calming necklaces satisfy the sensory need to chew in a way that is safe and healthy. At almost 2.5 inches long, they’re a great size to satisfy a kid’s oral fixation without being too large and overpowering. The pleasing twisty design of these necklaces are great for kids who may feel self conscious wearing conspicuous chewing jewelry. The muted color and cute design makes these look like any other kids’ jewelry design. This Pretty See set of 2 necklaces includes 1 blue necklace and 1 purple necklace. They are made of pure silicone and are BPA free, led free, latex free, PVC free and phthalate free. They are not the best choice for very rough chewers. Mild or moderate chewers will be best suited to these necklaces.